Normally, I enjoy watching the left eat its own. I get a Corona and some popcorn and settle in for a good time. But when commies start snubbing their own in favor of uber commies, I get a bit more concerned than I am already. It’s not surprising because we are speaking of California here, but concerning nonetheless. Unless the big one hits soon, America is going have to deal with its own internal communist stronghold. Fresh off Democratic Socialist of America member Alexandria Ocasio-Cortez storming New York and beating the Dem incumbent there – with the Republican candidate having almost no chance of winning – California Democrats are snubbing U.S. Sen. Dianne Feinstein in favor of state Sen. Kevin de Leon, her longshot Democratic challenger. He’s fresh, young and endorsed by Democratic Socialists of America as well as Democracy for America. De Leon is a big time open borders advocate and wants to abolish ICE. That was his ticket into the inner sanctum of the Democratic Party. Feinstein had called on the party’s 360-member executive board to stay neutral in the race. They are turning their backs on the establishment Democrat here and have chosen De Leon as one of the new faces of the party instead. Her allies had warned an endorsement would create an intraparty squabble that could detract from important down-ballot races. What it will in fact do is finally lurch California into full blown communism. De Leon has been courting radicals and activists for a long, long time. He appeals to those in the party whose favorite color is red and who are seeking a fresh face and a more progressive senator to fight against President Trump. While the right is trying to redefine themselves, the left suffers from no such indecisiveness. They were just waiting for the right time to go all the way to the left where they have always wanted to be. A total of 217 delegates voted for De Leon, of Los Angeles, while 22 cast ballots for Feinstein and 94 voted for no endorsement. That’s not even remotely close. For the last few weeks I have written that Alexandria Ocasio-Cortez is the new, communist millennial face of the Democratic Party. That she would lead a new wave of communists in the party as they rise up. People don’t seem to believe that. But it’s the reality on the ground now and De Leon is yet more proof of it. De Leon’s endorsement means that the state party will spend money promoting his candidacy this fall. He will campaign with Alexandria Ocasio-Cortez… of that, I have no doubt. They will appear together with their fists in the air, speaking of a revolutionary resistance and violence will follow in their wake. 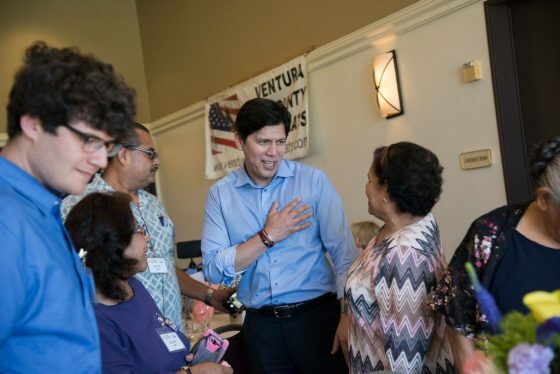 The vote for Mr. de León reflected the rise of younger liberal activists in the California Democratic leadership, some of whom regard Ms. Feinstein as a moderate compared with the intensely progressive voices who are coming up through the party ranks. These activists tend to be younger and more left-leaning than the state party at large. Mr. de León’s victory was the latest of several triumphs for liberals in Democratic primary elections this year. Most notably, Alexandria Ocasio-Cortez, a New York community organizer, scored a stunning upset over Representative Joseph Crowley, a Democratic Party leader and 19-year incumbent, in his bid for renomination last month. Ms. Ocasio-Cortez is the most prominent of several members of the Democratic Socialists of America who have won primaries for state and local offices this year. Two other progressives, Jared Polis of Colorado and Ben Jealous of Maryland, also beat challengers last month for the Democratic nomination for governor in those states. Even with that, Feinstein still holds out hope of coming out on top. She outpaces De Leon in name recognition and in cash. She has a loyal following of liberals in California. She won the June 5th primary with 44 percent of the vote compared to De Leon’s 12 percent. But… Feinstein is 85 years-old. De Leon is 51. I doubt she will survive the vote this time. I would be shocked if De Leon did not replace her. I also think that people underestimate the power of the Democratic Party in California. It’s not just embarrassing to lose their nod of approval, you lose the fundraising, the power plays and the massive political push from the party. “We are confident that a large majority of California Democrats will vote to reelect Sen. Feinstein in November,” Jeff Millman, her campaign manager, said Saturday night. I think he is delusional. Bolshevik Bernie has far more influence in Californian politics than they realize and there are a lot of young communists following Sanders. California runs a top-two primary system that sends the two highest primary vote-getters to the general election regardless of party. The system allowed De Leon to take the No. 2 spot by squeaking past a whole list of unknown Republicans in the primary. He will throw the entire weight of the party against Feinstein. Six U.S. House candidates for seats considered top Democratic targets joined Feinstein’s call for neutrality in a letter to members before the vote on Saturday. “A divisive party endorsement for U.S. Senate would hurt all down-ballot candidates and our ability to turn out Democrats we desperately need to vote in November,” it said. Their voices will almost assuredly go unheeded this time. A power shift is occurring in the Democratic Party and Feinstein is part of the establishment they want to purge. She has been in office since 1992. She is the ranking member of the Senate Judiciary Committee, where she’ll take center stage this summer during the U.S. Supreme Court nomination fight. But overall she is seen as ineffectual against President Trump. California Governor Jerry Brown signed into law SB 54 on Oct. 5, 2017, the “California Values Act,” which built upon the landmark Trust Act to help protect California immigrant residents from deportations. It is commonly known as the “Sanctuary State” act. Guess who authored that bill? Kevin de Leon did. He stated, “With today’s signing of SB 54 into law, one of the most important parts of that legal wall of protections is now in place. Donald Trump and Jeff Sessions will not be able to use California’s own law enforcement officials in an effort to round up and deport our fellow Californians.” The law took effect on Jan. 1, 2018. 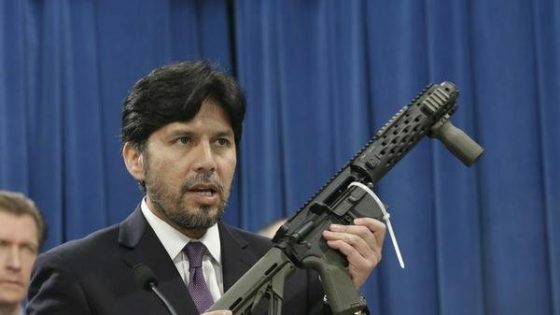 “California’s local law enforcement cannot be commandeered and used by the Trump Administration to tear families apart, undermine our safety, and wreak havoc on our economy,” De Leon said at a news conference in Los Angeles where he denounced Trump and criticized his policies as “racist and xenophobic.” He has urged Governor Brown to end the California National Guard’s cooperation with President Trump concerning the border and illegal immigration. Kevin de Leon has never met a radical group he does not love. He’s a communist and he is a rising star in Californian politics. He’s just one of the young Marxist up-and-comers that are appearing on the political scene here in America. And he’s got the full support of the Democratic Party behind him, not to mention DSA.